looking for a highly organized and efficient Accounting Assistant. and responding to transaction questions, and other duties as assigned. 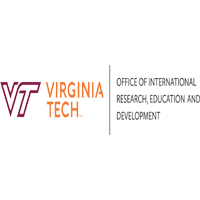 system that conform to the rules and regulations of USAID and Virginia Tech. are not barred, and assuring adequate budget exists. • Properly file and store supporting accounting documents in hard copy files and electronic files. • Assist in processing field financial reports and produce relevant reconciliations. • Process travel logistic support for flight accommodation reservations approvals, etc. preferable with a USAID project. required. Proficiency with QuickBooks preferred. • Fluent in English is required. Kiswahili is preferred. • Tanzanian Nationals are strongly encouraged to apply. position will remain open until filled. Only short-listed candidates will be contacted. looking for a dynamic, deadline driven, highly organized and tech- savvy Knowledge and Communications Manager. 3. Providing input into the development of documents and letters. project materials, press releases, blog, social media, and posters, articles and publications. 6. Developing, maintaining, and updating project web site. Virginia Tech policies as per operation manual. 12. Carrying out other duties assigned by the Chief of Party and the Deputy Chief of Party. • Carrying out other duties assigned by the Chief of Party and the Deputy Chief of Party. looking for a dynamic, deadline driven, highly organized and tech- savvy Senior Accountant. internal control system that conform to the rules and regulations of USAID and Virginia Tech. keeping. Ensuring funds usage does not exceed the budget. annual work plans and budget in line with the guidelines provided by Virginia Tech. • Ensure proper files, both hard and soft copies, are maintained to support all transaction process. • Manage the PMU staff payroll contract and confirm compliance with Tanzanian laws. use in the field and in Morogoro Program Management Unit (PMU). • Other duties as may be assigned by the Finance and Administration Manger. • Bachelor’s degree in Accounting, finance or Business Administration, or related field. • Three years of supervisory experience in administrative and finance management preferred. will also be responsible for pedagogical as well as subject-matter technical assistance to MATIs. official list of office key holders, emergency contacts, safety procedures, phone lists etc. achieved for the support team. Research System, and the Tanzanian agricultural sector would be an advantage. and the position will remain open until filled. Only short-listed candidates will be contacted. tact and the ability to work with people of different cultural backgrounds. assigned motor vehicle and providing operational/logistics support to the project. • Delivering important documents to required destinations. • Ensure that all deliveries have been signed and delivered to the correct recipient. • Keeping vehicle clean and maintained at all times. • Assisting office work such as scanning, e-mailing and others. will remain open until filled. Only short-listed candidates will be contacted. principles and by ensuring functional systems are in place to support the operations. budgeting and payments to sub awardees. Associate Director with a dotted line (oversight). the accounting team in the Home Office. procedures for procurement, human resource management, bank account management, etc. compliance, accounts payable management, financial reporting, etc. monthly basis as established between PMU and HO. budgets for program administration and grant disbursements. accountants placed with the MATIs and SUA. contract, payroll processing contract, etc. log sheet” and a Daily Vehicle Checklist” which must be maintained in each vehicle. and internal controls, their financial status and their financial capability to implement grants. and maintenance of personnel files. • Participate in strengthening partners systems especially the accounting systems. to monitor performance and project implementation. • Provide advice and counsel to the Chief of Party as needed. • Other duties or special activities assigned by the COP, DCOP and the HO finance team. Bachelor’s degree and sufficient relevant experience. with international firm is highly desirable. terminology with regard to accounting is required. • Excellent written and verbal communication skills, strong interpersonal and diplomatic skills. Must maintain good working relationship with PMU, HO and partners. • English proficiency is required, Kiswahili is preferred. looking for a dynamic, deadline driven, and highly organized Information Technology Specialist. Internet security and Power Point and report presentations. • Scheduling project workshop events into the calendar and send notification to staffs. • Diploma or certificate in information systems, computer science, or IT-related filed. coordinate project events such as workshops, conferences and meetings. emergency contacts, safety procedures, phone lists etc. • Submitting programs to appropriate individuals for approval. accurate registration data, name badges (and ribbons), etc. government officials, etc., as needed. • Excellent computer skills including Excel, Word etc. and implementation of the overall MEL plan for the Education and Development project. needs to contribute to agricultural productivity, income generation, and food security. changes in program approaches and scale-up.